Face Forward, is a non-profit organization whose mission is to provide emotional support and reconstructive surgery for women, children and men who have been victims of Domestic Violence, Human Trafficking or any Cruel Acts of Crime. The numbers are staggering and tragic as to how many people suffer at the hands of these horrific acts against humanity. Deborah Alessi, and her husband, Dr. David Alessi founded the organization 10 years ago to offer hope, empowerment, and medical attention to survivors worldwide. On March 11th, in Beverly Hills, Face Forward had an Art Show displaying the work of Artist, Michelle Nielsen-Moretti. Money raised by the sale of the paintings would be contributed to the Face Forward programs. Guests enjoyed an Art Show, music, food and drinks supplied by Deep Eddy cocktails, Hones Teas and ONEHOPE wines. Model and McCord List Founder, Rachel McCord with husband entrepreneur, Rick Schirmer plus Actress, Erin Gavin and Hollywood Producer, Cindy Cowan were in attendance. The Hollywood 360 talked with the Founders of Face Forward, Deborah Alessi and Dr. David Alessi regarding the importance of their organization. 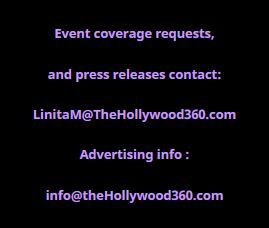 The Hollywood 360: Talk about the importance of your organization and how you help women. Deborah Alessi: We started Face Forward ten years ago. I am a survivor myself and my husband is an amazing plastic surgeon so when you put that together, I feel it is important to give back. What we do is rebuild the faces of women, children and men from around the Globe who are survivors of domestic violence and human trafficking. We provide the airfare, the accommodations, the anesthesiologist, operating room, medicine, and nurse. My husband and I work 100% pro bono and each case costs Face Forward about 8-12,000 dollars per visit. Most of our patients need between 5 to 15 surgeries. We also provide the therapy which is a big part of it. The Hollywood 360: The psychological trauma to these people must be so intense. Deborah Alessi: We can do all the surgeries in the world, but if we don’t give them therapy, it is not going to help. Everyone is so damaged by what they have gone through. The Hollywood 360: Can you talk about your story. Deborah Alessi: As a young girl in Scotland, I guess… I was in love. About six months into the relationship, when he thought he had me, the mental abuse started then the physical abuse. Finally, one night when I was 21, I decided I had enough. He tried throwing me down the stairs, hitting me with a guitar, throwing me around the room, he was possessive and jealous. From there, I realized I had to get out and leave the country right then, which I did do. The Hollywood 360: Being mentally and physically abused is devastating. Deborah Alessi: The abuse was more mental for me and the bruises could be healed. When we opened up Face Forward, my husband and I realized there were a lot of cases out there that the victims were disfigured from domestic violence. The Hollywood 360: Does it takes years for the victims to recover? Deborah Alessi: Everyone receives intense therapy. We won’t touch the patient until they go through the therapy. Dr. David Alessi: You have to fix the scars, but you have to fix the inside as well. It’s also about empowering them. Every woman who comes to the program has to agree to do something great with their life. We just don’t give people fish, we give them a fishing rod. So far everyone has done that. We have JoAnne who went to nursing school in Germany, we have Audrey who is an international speaker against domestic violence. All our women are doing something great with their lives. The Hollywood 360: It sounds like you don’t want your patients to stay in the victim role. Deborah Alessi: We can’t do 300,000 dollars of pro bono surgery, then have the women go back to the abusive situation. We are very strict. It’s not a program where you get just get free medical care. They have to go through a process to become one of our patients. We have to make sure they are ready for the surgery. The Hollywood 360: Are they going to therapy every day and group therapy? Deborah Alessi: Yes. Whatever country or state they are in, they have to do therapy there and then when they come here, they do therapy a week prior, the week of the surgery, and the week after. Dr. Alessi: We follow them very closely afterwards to make sure they are honoring their agreement in doing something great with their life. It’s reprogramming. Get rid of the scars, get rid of the emotional scars, and reprogram them that they are going to do something great and help other survivors. The Hollywood 360: What are the statistics of domestic abuse? Deborah Alessi: One in four women. We opened the doors last year to human trafficking. The Hollywood 360: Does it get overwhelming? The Hollywood 360: How is it working together? Deborah Alessi: Great. I have the best husband. I am very lucky and I am very happy to be able to give back with him by my side.